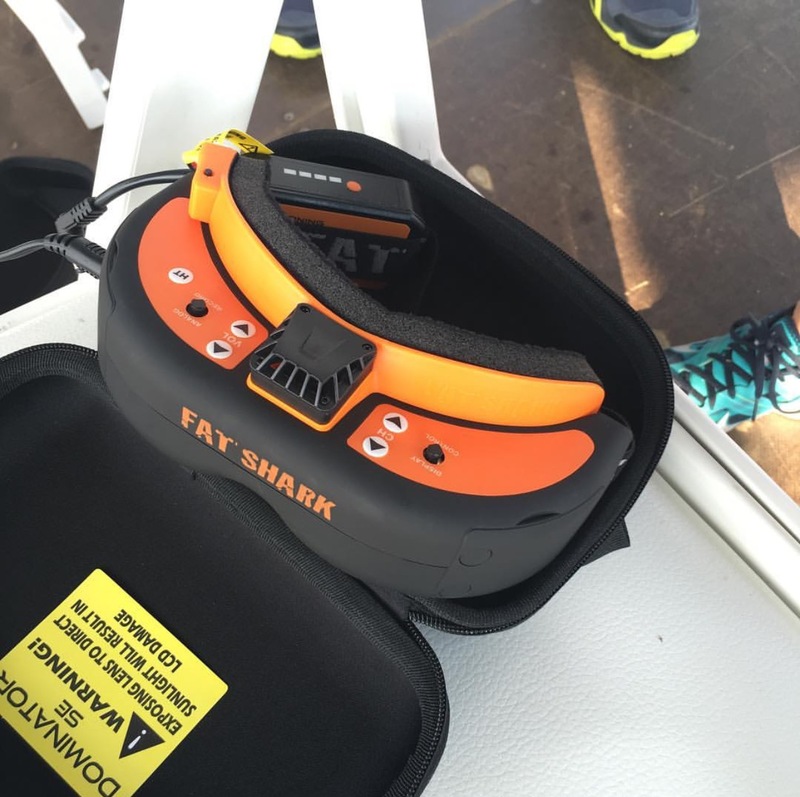 It has been a while since Fatshark released a new set of FPV goggles. The Dominator HD V2s were a huge success and therefore Fatshark has already set the bar high. 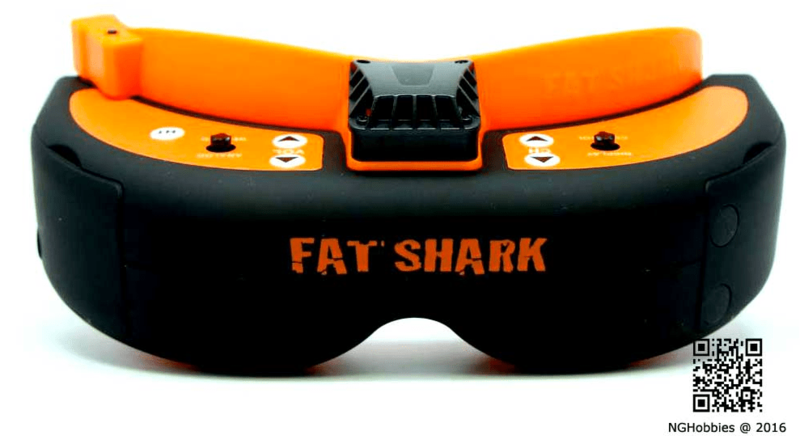 Fatshark has produced another set of FPV goggles called the Fatshark Dominator SE. Fatshark claims that these goggles are meant to be cheaper than the HDV2 but at the same time provide the same level of performance in terms of video quality and comfort. You can pick these goggles up here for $349.95 USD. – Battery charge adapter cable. There are a few things that stand out to me. Firstly, I’m surprised (and relieved) that Fatshark are finally including an antenna with their goggles. This is a small issue that lots of people have been complaining about and I’m glad they have listened. Nevertheless, for $350 I would be expecting a battery that is more than 1000mAh. To be honest, you can easily just switch up the battery but that will include an extra cost which is a little bit annoying. It also does not come with a battery charger so you will have to order one for $18. 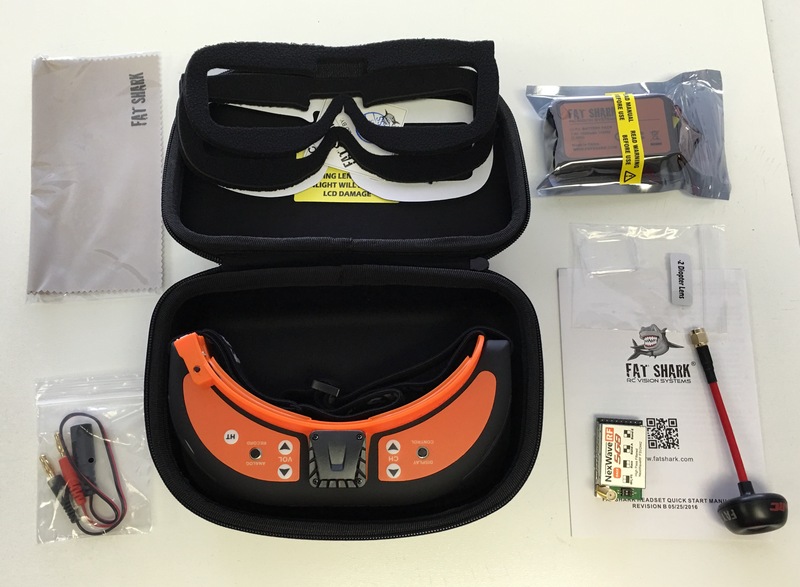 Here are the specs of the Fatshark Dominator SE Goggles. features like head tracking are not included. It has a VGA 640×480 display which is the same as the Attitude V3 (I would expect at least 800×480 for $350.) I do really like the orange and black colour scheme and the fact that you can use 3S batteries with these goggles is a bonus too. Overall I don’t quite know what to make about these goggles. I’ve ordered a pair and will be reviewing them as soon as I get my hands on them. However my first impressions are that Fatshark is using old technology on a rather pricey ‘new’ set of goggles. 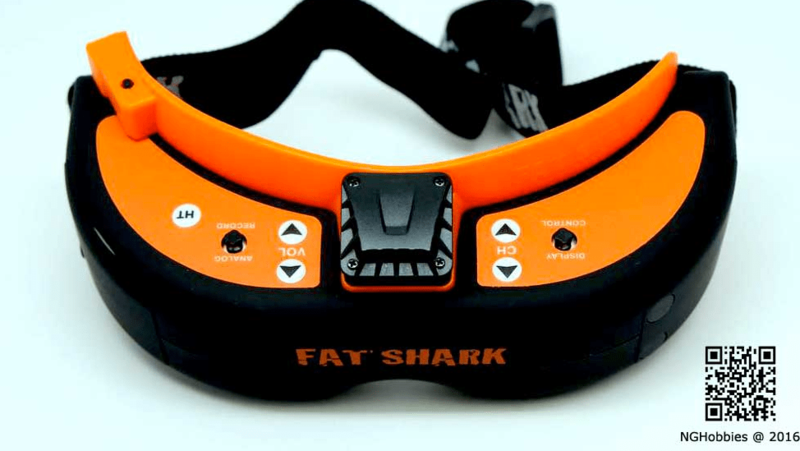 I think that the release of the Fatshark Dominator SE Goggles combined with the discontinuation of HD V2’s means that the Dominator HD V3’s are soon to be released? Leave your thoughts and comments below. Thanks! lack of DVR and HDMI is a big turnoff. It does have a DVR…..But they suffer from the 2 main problems that the HDV2 had. Blurry edges of the screen that can be somewhat fixed with Diopters and the contrast is awful. They use the same lenses that are in the HDV2, that everyone complains about. The image I see in the goggles is a bit washed out, doesn’t have the fine detail in the branches and color fidelity. It almost looks like the contrast is cranked up, but reducing contrast makes it just more washed out without gaining detail. I tried using them at dusk and I had to switch back to my Dominator V2 goggles. I own the Dom V2, Dom HDV2 and the Dom SE and I am still using my Dom V2. The battery it comes with is missing the middle wire on the balance plug so you can’t balance charge it, as if there batteries don’t have a short lifespan already. Your lucky to get 3 months out of their crappy LiPo. I made a battery with two 18650, 3400mah LiIo over a year ago and it’s still working great and lasts much longer. 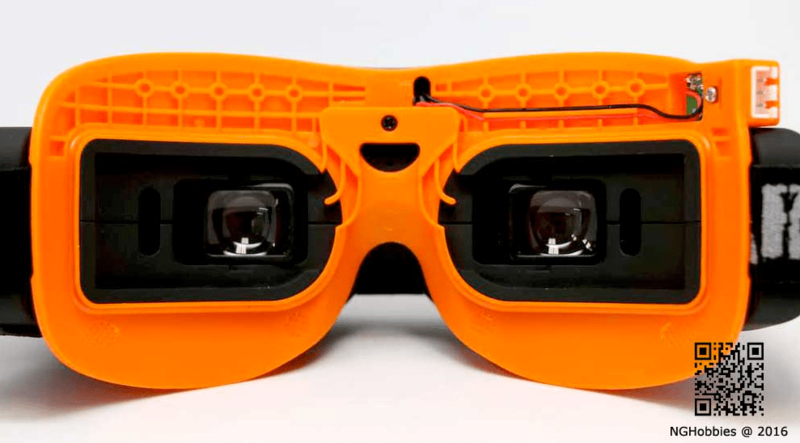 I guess the orange and black color scheme is the only thing special about the SE goggles. The battery has an integrated balancing circut so you don’t need to balance charge it. It is a pity they just keep putting those crappy low res low contrast, low grey scale display panels into their goggles. If they moved up from the nineties to 2016 display technology (look how far mobile phone screens have come in the last few years) and used proper optical grade coated lenses that stop colour splitting and edge distortion rather than cheap plastic, they would probably be on the mark with the money (price) they are asking. I made a set of goggles using a top quality 5″ photography PVM with very high contrast (>2000:1) and 1200×800 resolution, the image and colour are just stunning, razor sharp, full fov image size, it is very deep and immersive.. one day I hope one of these manufacturers will do the same or better with a set of glasses so I can shift to something smaller. Sadly they don’t seem to be in much of a hurry. These days the HDMI is a total no brainer, but likely caused by utilising cheap ancient componentry… like the 1990’s lcd’s.. I totally agree. It seems like these companies are stuck in the 1990s and don’t want to invest in new technology for monetary purposes. I think they also have the drip feed marketing mentality. Why give the customer everything when we can upgrade them ten times over, and still have another trick up our sleeves. I think it is (hopefully) just a matter of time until a big player like Samsung will notice there is many million here to be made with ‘current’ technology adaption into something as simple as goggles, and not just throw some crusty low spec composite video converter chip into them, but push the envelope with high spec scan conversion that can rival hdtv. It seems so simple, and still we wait..
How’s it for 349$ at Geekbuying? Great information. Are there any HD displays out there today?